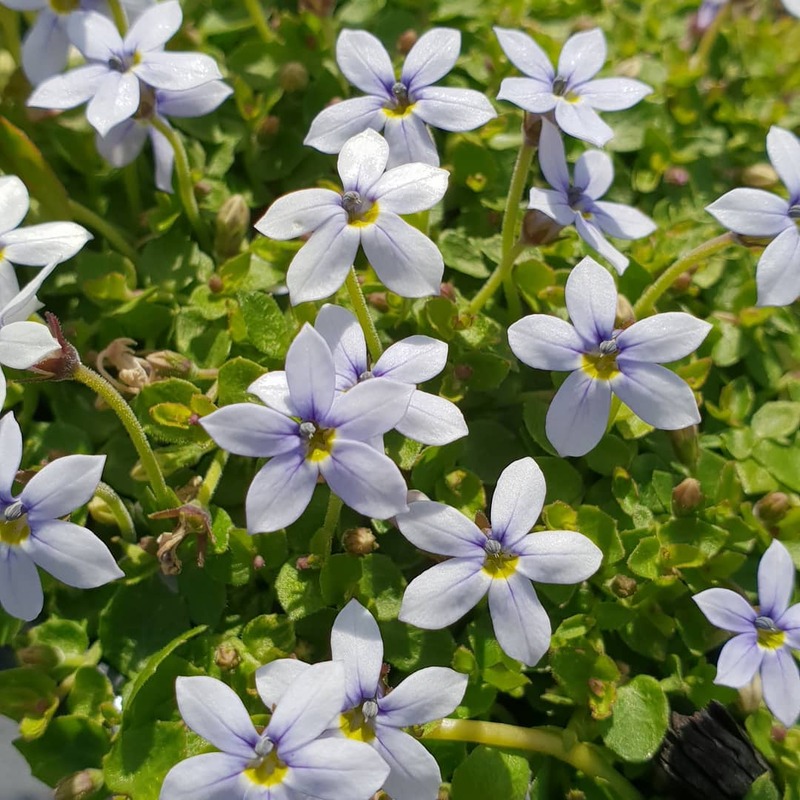 Dainty soft blue star-like flowers on short stems from spring through to autumn and attractive green foliage with a mat-forming habit. Evergreen. Hardy. Long flowering period. Great for containers, rockeries, under planting, hanging baskets and as a groundcover. Plant in well drained soil in sun to part shade. Height to 5cm and width to 30cm. Keep moist.